ICQ 與您的社交網絡帳戶連接，並在一個應用程序與所有的朋友聊天。消息是非常容易與 ICQ for Mac. - Chat page is much faster now! - "Create chat" button is now displayed on the main screen by clicking on the "pencil"
- You can close the chat by clicking on it with the mouse wheel. A trifle, but nice one! 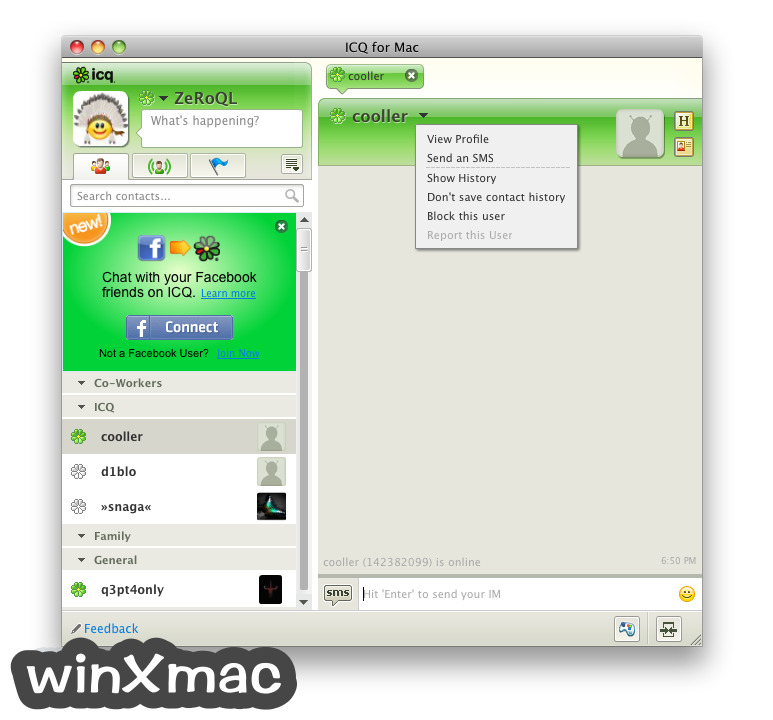 - Now you can share contacts and chats! 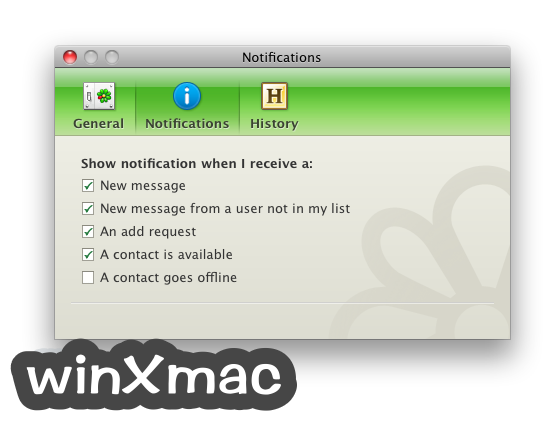 Finally, you can quickly share a chat or send a contact.